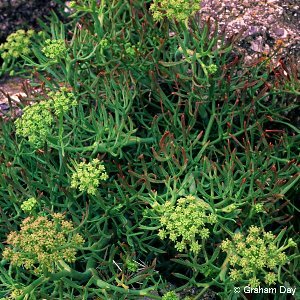 A succulent umbelliferous plant of rocks and cliffs beside the sea. Most frequent in Co. Down, rare in Co. Antrim and absent from Co. Londonderry. All names: Crithmum maritimum L.